Using SendInput to type unicode characters | ad hocumentation • n. fast, instinctive documentation of ideas and solutions. 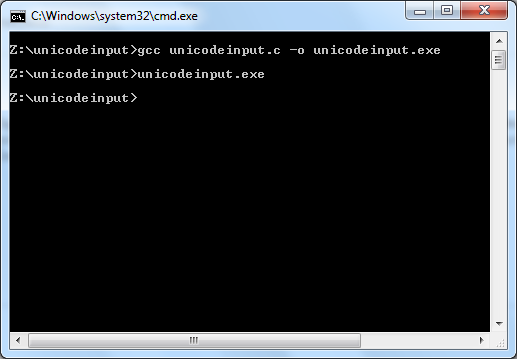 I received a query from reader Partha D about generating unicode keystrokes using the SendInput function in Windows. As I understand it, Partha wants to generate one or more unicode keystrokes when a particular keyboard shortcut is pressed. The following example program illustrates the use of the SendInput function to generate keyboard events for unicode characters. It just generates a single keystroke (a Bengali character) after a 3-second delay. // time to switch to e.g. 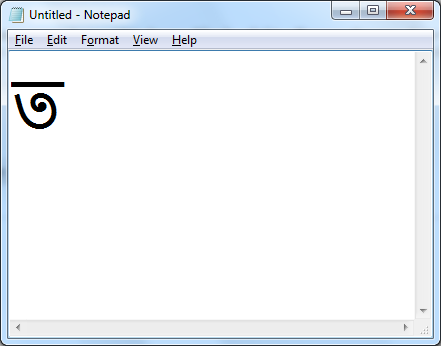 Notepad from the command window). // Press a unicode "key"
This entry was posted in Uncategorized and tagged basic, C, character, dwFlags, example, gcc, INPUT, INPUT_KEYBOARD, keyboard event, keystroke, MinGW, SendInput, simple, simulate, unicode, wScan, wVk. Bookmark the permalink. What I was suggesting is to set up a normal Windows keyboard shortcut to run a program (like my example program) that generates a single unicode character. Have you tried that? If that can’t do what you want, then maybe you will need to hook the “Alt+key” combination within the program, which I don’t know how to do off the top of my head. Didn’t you say that you already worked out how to do the hook? If you can provide your code for that part, I might try combining it with the SendInput code to see if it works.